My grandmother and I were having a conversation last night and I always knew that she hates embellishing anything about her looks. She has never worn makeup and never understood why my mother takes such time with her hair and face each morning (my mother and I are definitely on the same wavelength when it comes to holding ourselves to high standards with our looks – we both do it for ourselves). She has only ever used a rinse in her hair once or twice, and didn’t even like that: she complains whenever I dye my hair (or announce that I am going to dye it), as she says “there is nothing wrong with how it is, it is nice” and says “it looks unnatural / stark / too serious”. She hated it when I had it blonde one summer, and she refers to changing one’s hair colour as “painting it”. She didn’t like when I shaved my head, as I “didn’t look like me”. She responds to my declarations of wanting to be slim with “you are fine as you are”. At this point, I am fairly slim and so I agree that I am fine this way. However, no matter what my size, even when I was a fair bit bigger in years past, she always said “you are fine as you are”. Now, I don’t think that it’s a good recommendation for children to diet anyways, and I probably put myself under too much pressure as a child with that – but I know that the reason why she says that I am fine the way that I am is because my nan fundamentally believes that you should accept what nature gave you and not decorate or embellish it in any way. To this end, she even wears shades which are mainly muted: browns, greys, navy, black, sage green. Even with colours that could be interesting, my grandmother chooses the most boring variant of it; sage green, olive green, dark grey, mid brown. Now, I myself have been mocked for mainly wearing black, white, brown and grey – but I also wear navy, maroon, dark green and sheer clothes. I mix up my fabrics, I have lots of coordinated accessories, I wear different coloured jeans. To quote (admittedly, my boyfriend) Toby, my style is “slinky and elegant”. And I am very happy with that description, as that’s what I am for – model-perfect and classic. I still believe that I am not there yet (and until I have the money to afford a Gucci wardrobe, I won’t get there either!) but I do my very best and I do look different from the crowd, which is good. If this is being vain, if caring about your looks and moisturising and wearing lip balm and smelling nice and wearing clothes that actually fit me properly and compliment my body is vanity, I will proudly wear my vanity as a badge. However, I am considering changing my style… I don’t know to what? 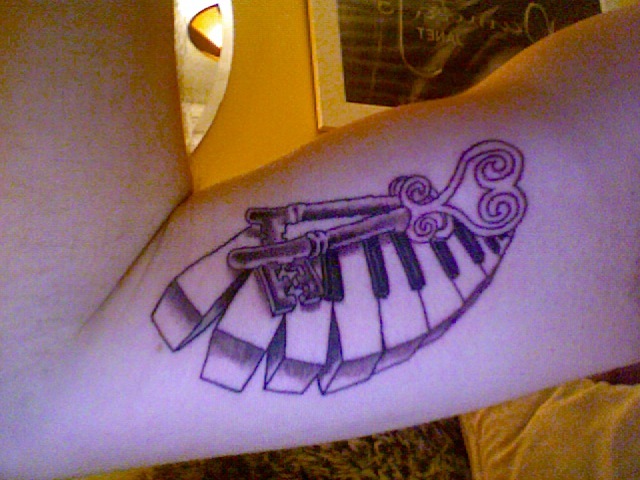 I definitely don’t want to be less sophisticated or classic, but I feel like I could be more edgy. I do have some edgy garments, but I occasionally feel (possibly because of my new job, where I couldn’t wear anything too fashion-forward that would concern the Cirencester natives – as it is, I get compliments on my outfits there) that I play it safe. I saw some gorgeous studded boots in River Island that I wanted. As I couldn’t do them up, I didn’t get them – but I loved their style. They were edgy, slightly goth-y, a bit fearsome. Toby didn’t like them, but I did because they would have set me apart. And then I considered: I could not wear them to work. And although that remains a fact, and I would have therefore wasted my money on boots that looked wonky when I laced them up and which I would only be able to wear once or twice a week, I felt like all of a sudden my fashion choices had to be compromised. Is this growing up? I suppose so, but it is a little bit sad. I therefore aim to keep an eye for being forward, and to keep nourishing my inner fashionista against the conformity drive of mainstream society. 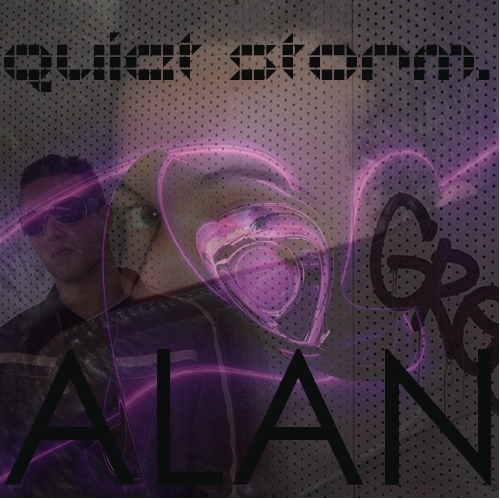 Check out the 4th single, title track and centrepiece from my album Quiet Storm, which you can download for free here! The new single cover includes a brand new picture taken by Toby of me posing against a metal wall on the Bristol waterfront! I just wanted to write a quick blog, inspired largely by the lovely day I’ve had today. Mike & I (along with his son Billy) spent the day going around Broadmead & Cabot Circus shopping, looking for presents for his wife (whose birthday it is tomorrow) and basically just spending time together. I got to push Billy in his pushchair, help Mike pick out jewellery, and I didn’t even spend money on myself! Mike very kindly bought me a bottle of Touch by Grigio Perla, which he really didn’t need to do – but then I bought him True Blood season 1 on DVD a few weeks ago for the same reason, to thank him for being such a good friend to me. I appreciate his friendship, and apart from the course making such a difference in my job prospects and optimism, his friendship has been an amazing thing that has transformed my life and changed who I am. Just as if I hadn’t done the course, I wouldn’t have met Toby (nor some new friends that I’ve made, both on my course and through twitter 🙂 ), I possibly wouldn’t have had the impetus to start learning to drive again, I wouldn’t have gotten the tattoos that I now have… taking the Careers Guidance course has transformed my life in ways I couldn’t have foreseen, and in ways I truly deserve. I don’t believe in god, but it does seem like fate, like things have finally slotted into place. I’m so happy. For the first time in 10 months, probably, I went into the Perfume Shop. Walking past with Mike & Billy, I gauged who was in there, and seeing Henna, Ebony and Liz (i.e. none of the people whom I really don’t want to see again), I thought I’d pop in and see how everyone was. It was interesting to see how their lives have changed, but they have effectively stayed in the same place (though the shop does look more vibrant and full of stock compared to how it was a year ago when I was working there) whereas my life has changed so much and I’ve moved on. Ebony was telling me her experiences as deputy manager (my old role), and it rang so true for me (a lot of similar issues with the manager to what I had, interestingly!) . I hope she can escape soon, because she’s an intelligent young woman who can do so much better for herself rather than working herself to the bone in retail for not enough reward. Even down to the fact that I had to explain that Billy was not my child (I haven’t given birth to a 3 year old in the last 11 months), Mike was not my boyfriend (everyone whom I came into that shop with during my time there, regardless of gender, age or anything else, was my potential sleeping partner according to them – that’s an accurate indication of how much the shop consumes your life to push out almost anything else), and that I was happy working at the hospital and studying on my course. Ebony and Liz were chatting a lot, and we really need to catch up with a coffee to exchange full stories. But it was nice to se that after everything that had happened since I left, and despite the fact that I will very rarely go into that shop again because I have no desire to ever see certain people who work there again, I still have some friends there. It won’t be the same, but it was a surprisingly pleasant experience to reconnect with those people, and I feel now that those friendships I cultivated during the time I worked there may not go to waste after all. Time will tell. I was sitting in Caffé Nero in House Of Fraser in Cabot Circus with Toby today, reading the newspaper (quite uncharacteristic of me – what’s more, I was reading the news and doing the crossword! Not even the gossip pages!) and I came across an article about being an author and how it’s not the easiest way of making a living. I said to Toby that I’d like to write a book one day, though I don’t really know what about; I don’t even know if it would be a novel, or more a reflection on life and love. And I thought back to when I started writing this blog 9 months ago – how far I’ve come from my first entry! How quickly time has passed, and how much I’ve grown and how much my life has changed. I’m glad to say I am in a much happier space now, and better is yet to come! Reading that first entry, I knew almost at the time that the misfired sense of whimsy I was aiming for (in the style of Bai Ling, who tbh is quite insurpassable) wouldn’t last, but I didn’t know how seriously I would end up taking this blog, nor how important this blog would end up being for me, for my sanity and my self-expression; as well as for my music. Not only have I got a lot better at writing, but being able to be utterly honest in a public yet private and near-anonymous forum has been freeing. I’ve made new friends through writing, and some of the comments I receive let me know that my writing has touched others, that I’ve not been alone in going through some of the emotional, romantic and self-esteem struggles that I’ve experienced. That alone makes writing this blog worth it, and I thank you for reading it. I hope that I can make a difference to someone’s life, even in a small way. That makes it worth it. This song by Vivian Green is one of my new favourites at the moment. It’s what real R&B is (not this dance/pop/Timbaland hybrid nonsense), about self-esteem, relationships and beauty. Her voice is lovely on the song, and the lyrics are so poignant. It’s inspired me to write this blog, because over the last 6-9 months, I’ve grown to feel a lot more comfortable in my skin. I’ve gained a lot of new friendships (Nick and Toby met today! We had a lot of fun banter and coffee/tea in Starbucks), I’ve entered into a really lovely relationship in which I’m starting to feel comfortable, and my body and image are finally reflecting the man that I am, that I’ve become. In short, it’s taken 24 years but nobody can make me feel ugly anymore. Sometimes I might be hard on myself, and I’m pretty vain and heavily self-critical, but at the end of the day I’ve come to a place where I’m good. Although it doesn’t matter whether other people validate you and the most important person you have to please is yourself, it has been a revelation just how valued I am by my friends, both old and new. I entered into university and despite my closest friends being quite different from me, they support me and I support them. We value each other, respect each other, and nobody can convince me now that I’m an ugly person. Over the past 6 months, I’ve let people in on some heavy secrets of mine, and nobody ran away. They all embraced me, and that’s meant a lot to me – I’m a beautiful person inside and out. Not because they say so necessarily – after all, I worked damn hard to get to this point and feeling this way is still incredibly new to me. But for example, I got home tonight and my parents were sniping at each other regarding a possible new car (which would be expensive), and they tried to ensnare me in the discussion. I’ve grown to the point where I won’t be bullied by my mother or shouted down by her neverending arguments from her fixed point of view. And neither will I be wound up by my father’s surreptitious planted comments, nor intimidated by his own feelings of superiority, inferiority or jealousy. I love my parents, but so often these days I feel like the adult in this house and I won’t be made to feel inferior, naïve or ugly by either of them. It took a very long time (longer than it should have), and it took more newly-formed friendships than it should have, but I’m strong enough to see their faults for what they are, rather than just taking them into me and feeling guilty about myself. It’s not my fault, and I’m not the problem. I’m not perfect, but I’m beautiful and I deserve to love myself and believe in myself as much as anyone else. And finally, even though I can often waver or doubt myself (as we all can), I more or less do. It’s a work-in-progress, as with anything. In both of the essays I’ve submitted on my careers guidance course so far, not only have I got pretty decent marks, but I’ve received praise on how well I write. This stands in contrast to when I was at Oxford and my tutors would complain about my essay structure and my use of language. Perhaps part of it is that I’ve taken these past criticisms on board, perhaps I’ve grown not only in age but in maturity and the ability to express myself in a subject or arena that I enjoy, but it’s true that you can’t please everyone. At the end of the day, I appreciate the compliments and try to improve from criticism, but it’s a lot harder to knock me down. I feel happier, stronger and more sure of myself, and what’s most important to me when I’m handing in an essay, when I’m selecting my outfit for the day, when I’m singing a song to an audience, is that I’m happy and believe confidently in my self-expression. Criticism from other people can help me to grow, praise from others lets me know I’m on the right path, but at the end of the day I have to be alright with me and nobody else can disguise whether I’m good or uneasy with myself. So I’m sat in Starbucks in Cabot Circus having finally gained access to the internet (BT Openzone has a lot to answer for… hijacking my browser and not letting me get to the Starbucks page however hard I try – I do have better things to do than sit here and refresh the page!… probably.) and I have felt determined to blog since I got here. I’m consuming far too much coffee lately and I generally need to cut down on food – not that it’s showing; I appreciate my new metabolism every day and I pray it never leaves! – so I thought I would take the time to write something to you all and write about things that are on my mind. Usually this isn’t a problem for me, but now I’m at my keyboard and I don’t really know what to say. I have my book (The Girl With The Dragon Tattoo – I’m only 100 pages through so far but I’m enjoying it, more than I expected to in fact!) and Sade’s fantastic new album Soldier Of Love is playing on my iPod, so I’m feeling chilled. My fingertips are typing away but is any of this of substance? I don’t think so. So let me try and write something of value. Yesterday I got a bit irritated with a couple of bossy people in uni, but it wasn’t really a big deal. However, my mood lingered and wouldn’t quite lift. I went to WHSmiths (after a tour of central Bristol shops) and bought Mike and Caroline the first season of True Blood on DVD as a thankyou gift for everything they mean to me, and all that they’ve done for me in the past six months. And then I went to Starbucks, sat and read my book, and decided to continue on my strategy of letting people know how much I appreciate them. I spoke to Hannah and we conversed about love, life and self-esteem, and then I met up with Toby and decided to tell my boyfriend that although sometimes I’m a bit emotionally wary or quiet, I appreciate him so much and the reason I get nervous is because nobody ever really treated me, as a boyfriend, the way that he does. He’s a good man and I’m going to hold onto him, and although I don’t always say it, I appreciate what he’s done for me and what he means to me too. It was nothing to do with why I was a bit grumpy before, but it made me feel better, because generally we don’t tell people close to us enough how much we appreciate them. So I’m going to try and do that a little bit more, rather than everyone just taking their friendships and relationships for granted. I am good at speaking confidently, so while I’m doing that I might as well say things that are worth saying! Today I finished my essay at uni with Mike, tried and failed to find Ness in the café, and now I’m here in Starbucks again. Although I mainly come here because I don’t really want to go home before I have to (my parents have the week off this week and although we are getting on ok at the moment, I don’t want to prolong my contact with them. Small doses! I like my independence, as you know), I do enjoy having time to myself in a relaxing environment, and I can just turn my iPod on and type or read without any disruptions. I do pay for the privilege, and I should be a little more careful with what I spend at the moment, but part of my philosophy is that as long as it’s not massively negligent of the bigger picture, we should treat others and ourselves the best we can, because tomorrow you could be dead. It’s a bit blunt, but not wrong. What have we got to lose? I tell and show people how much they mean to me today (or at least I’m going to resolve to do that a bit more); I reward myself today (well, sorta quite often but hey! ); I try and live in the moment, while being aware of my past and my future. If I died tomorrow, I’m sure I would have some regrets, but I can’t think of anything major that I really see as a huge mistake in my life. There are things that I would have done differently, but now that I’m in a pretty good space in my life I don’t really care because the mistakes I’ve made and avenues I’ve taken have led me to this point, and probably contributed to my character and the person that I am in some way. Watching Keeping Up With The Kardashians at Toby’s last night, Kim Kardashian has money, looks, family and a decent career. But listening to her speaking, there’s a tiny something missing… some sort of spark or soul. I’m not saying that because she’s a celebrity heiress – I find Paris Hilton terrifically fun and I will always (well, almost always) stick up for her in a conversation – but with Kim there seemed to be little appreciation or conception of battling hard for the things she wants. As much as I would love to have things fall easily into my lap, I’ve fought and struggled more than some people realise, and now that things are going my way I appreciate it every day. I hope that it continues and I’m going to do my best to ensure that it does (although life is such that sometimes no matter how much you do, things go against you). If I won the lottery tomorrow, if my heart felt like a glittering diamond and everything in my life were suddenly fulfilled, that would be nice, but I hope that through the course my life I can get to a state where I’m fulfilled by the things that I have, even if I’m not 100% satisfied and always striving for more (which I almost hope to be). Appreciating what I have is something I try to do as much as I can, but I could still do it much more.